Easter eggs! This is the time of year when you have oodles and oodles of options. 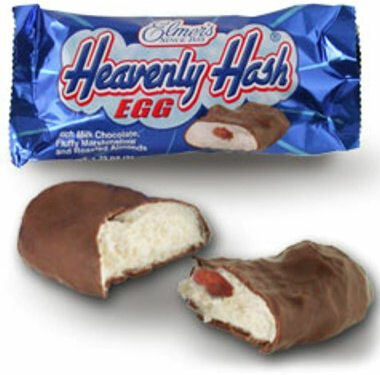 Do you want hard candy shells that protect a layer of chocolate goodness? Or maybe you prefer them filled… with peanut butter? Or marshmallow? Or fondant? Each spring, I become so embarrassingly giddy, so overwhelmed by the sheer volume of delectable eggs available for purchase, that I end up buying a veritable mountain of them – which I then hoard to get me through those long summer months when the only kinds of eggs you can buy are hard boiled or scrambled. 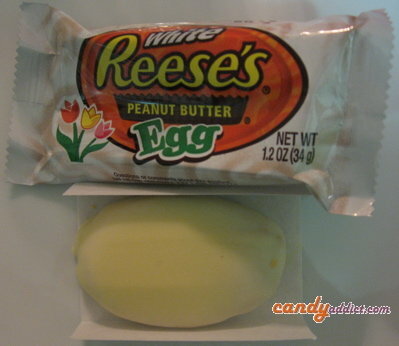 Some Easter eggs are so delicious that I can’t imagine hoarding them for any longer than a couple of days. Sometimes, it’s all I can do to keep from ripping into the package while I’m waiting in line at the cash register. 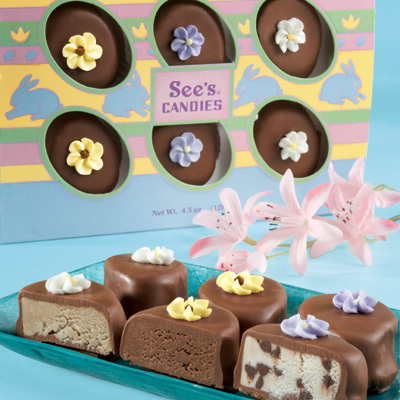 See’s Assorted Decorated Eggs are like that. From the folks at Ricolino, who brought you the fun-to-say Bubu Lubu candy bar, comes Chutazo! 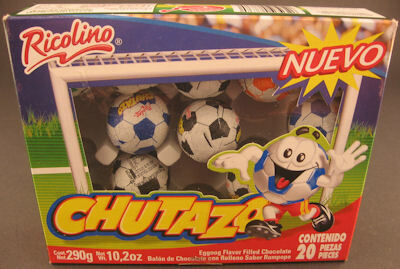 Chocolate soccer balls filled with “eggnog” flavored goo. 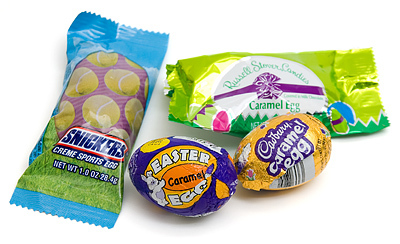 Chutazos are the sporty cousins of Cadbury Eggs with less of the immediate cavity-inducing filling. 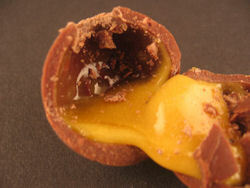 The Chutazo goo is paltry compared to the Cadbury version, and closer to the color of an egg yolk rather than the contents of a child’s snot-filled Kleenex. If you close your eyes tightly enough the Chutazo filling does taste vaguely of eggnog, with a sustained almond note. Not bad, actually, once you get past the cheap-o chocolate.